“The man who does not know the nature of the law cannot know the nature of sin. The following resouces are not necessarily related to the Gospel Project study but are timely and worth digging into as you have time. While we make an effort to provide additional resources to you, do not feel like you need to read every one, listen to everyone. Use wisdom, ask God for guidence and don’t allow yourself to feel overwhelmed. The most important resource is the Bible itself. Make sure you are reading and listening to God in the Bible first, everyday. Article: https://www.google.com/amp/s/www.thegospelcoalition.org/article/american-gospel-blows-hole-prosperity-gospel/%3Famp Available on Amazon, iTunes and Vemeo. Every head bowed, every eye closed. Good. Now, do you feel a stirring deep in your soul when I talk about missions? If so, stand up. If you’ve spent any time in evangelicalism, you know all too well this familiar scene, when the trajectory of one’s life boils down to a single, mystical moment as the band ascends the stage and a synth pad drones in the background. January isn’t just the season of resolutions, frigid temps, and caloric deficits. It’s also conference season in the evangelical world. And for many college-age believers, it’s a chance to double-down on their spirituality, arms high and heart abandoned in a sea of like-minded students. I’m not against conferences—many of them I love. I work conferences regularly, I am friends with those involved, and I even attended a Christian university where our thrice-weekly chapel was itself a literal arena event. But the problem with spiritual mountaintop experiences, like any other high, is that there’s always a low. Just as the demon-riddled lowland greeted the disciples after the transfiguration, the monotonous valley of everyday life never lags too far behind the final chorus. This is normal. And it wouldn’t be a problem at all, in fact, if it weren’t so radically divergent from the enchanting bill of goods the Christian conference cottage industry often sells young adults. This, admittedly, is what many young people—and the rest of us—probably need in order to pierce through the haze of apathy that envelops our cushy American lifestyles. But I doubt if such rhetoric always represents the counsel most fitting for current college students. Christian college students are far from immune to the cultural trends affecting Generation Z (defined, after millennials, as those born after 1997). According to one source, students in the class of 2017 graduated with an average of nearly $40,000 in student debt. Barnes and Noble College reported in September that only about 47 percent of Gen Z engages in volunteer work, compared to 70 percent of millennials. Another researcher noted that social media have lured Gen Z its own version of “keeping up with the Joneses” trap, despite the stigma attached to excessive consumerism. He also reports how the post-millennials (not in the eschatological sense) generation is increasingly forsaking traditional industries in pursuit of monetized micro-celebrity on the Internet. Across the generational landscape, more and more Americans continue to delay marriage or forego it altogether. Finally—and appropriately—a Google search for “adulting” (a verb) yields 10.4 million results. It’s a thing. I’m not saying that all students born after 1997 are delinquents. Such a claim would be absurd. I am saying, however, that our pastoral rush towards the “radical” rally-cry exposes a gap in our discipleship track: ordinary faithfulness. When I was a biblical studies student at my Christian university, I bought into the logic of extraordinary Christian living. I rushed to finish my undergrad in two years, convinced I had a far more glamorous calling awaiting someplace in which my talents and I would finally be recognized as God’s gift to the world. God needed me, after all. Wide-eyed for ministry, I eagerly proposed to my girlfriend, and we made plans to begin our adventure right after college. But with precious little professional experience at my unripe age, having pigeonholed myself as a professional evangelical, my ambitions backfired, and I quickly found myself scrambling for ministry jobs to no avail. The best pieces of advice I received during that season of life came from two respected guys on campus, both a few years my senior. My first friend brought me to 1 Chronicles 21, where David, relying on his own achievements, orders an unsanctioned census of Israel, incurring national judgment. In spite of David’s hubris, God mercifully lessens the severity of the punishment (v. 15), an act of mercy that literally lays the foundation for the temple (v. 28; cf. 22:1). In this, the Lord reminded me that knuckleheaded decisions have consequences—and God is gracious anyway. The second guy simply reminded me of Luke 16:10: “One who is faithful in a very little is also faithful in much, and one who is dishonest in a very little is also dishonest in much” (ESV). At a season in life when I was looking for my big break—to burn out for Jesus in a proverbial blaze of glory—I needed to focus on ordinary, menial obedience. Hell is real, Jesus saves, souls are in the balance, and time is short. The oft-posed Monday morning question, of course, is, what next? If we do not disciple the up-and-coming generation with an understanding of obedience in the ordinary, we will produce fickle missionaries at best. Full-time ministry—in any culture—is, after all, the sum of a hundred ordinary days at the office, church budget meetings, and sermon prep sessions after the kids have gone to bed. Join a church. (As a member.) Submit to elders. Serve faithfully. Do jobs nobody else wants. Make a budget. Limit your expenditures. Live below your means. Get a job. Develop a good rapport before the watching world. Make yourself useful to other people. Contribute to society. Tithe. Give above a tithe. Save money. Pay off your loans. If you want to get married, stop playing juvenile dating games and get married. Learn to love a spouse, raise children, and die to self. Exercise. Eat right. Lose weight if you need to lose weight. Gain weight if you need to gain it. Pick a goal and strain to reach it. Read your Bible every day. Know it by heart. Master it, and be mastered by it. Abide in Christ. Pray fervently. Make disciples locally. Preach the gospel in your Jerusalem. I’m not saying that full-time ministry is reserved for those who have reached the pinnacle of human perfection. God graciously uses us in our mess—just as he redeemed my boneheadedness in college, and redeems my daily boneheadedness now. But adulthood is a baseline qualification, not the pinnacle. It takes no super-saint to have a spiritual experience while the music reaches crescendo in a room of thousand; the proof is in the life that follows. We should be able to say, with Paul, “When I became a man, I gave up childish ways” (1 Corinthians 13:11). Rally-cries have their role, but God’s program for our lives always winds through lengthy valleys of ordinary faithfulness. This requirement is intrinsically good and is divinely hard-wired into the sanctification process for our maximal maturity and God’s greatest glory. If we aspire to ministry greatness or missionary success, we must first be made small. If we cannot be faithful with the “little” of adulthood, we will surely be unfaithful with the “much” of mission. Dr. Dan DeWitt, Director of the Center for Biblical Apologetics and Public Christianity and Associate Professor of Applied Theology and Apologetics at Cedarville University, has earned double honors for his first children’s book, The Friend Who Forgives. This story about the friendship of Jesus and Peter was honored by Christianity Today and the Gospel Coalition. The quote is from Spurgeon. He is saying that Scripture is the very words of God, and who doesn’t love to hear the sound of God’s voice? ¹ The problem is that most of us want to hear God’s voice, but we don’t crack our Bibles, and we don’t even buy our own excuses for not doing so. We can all use some fresh motivation. 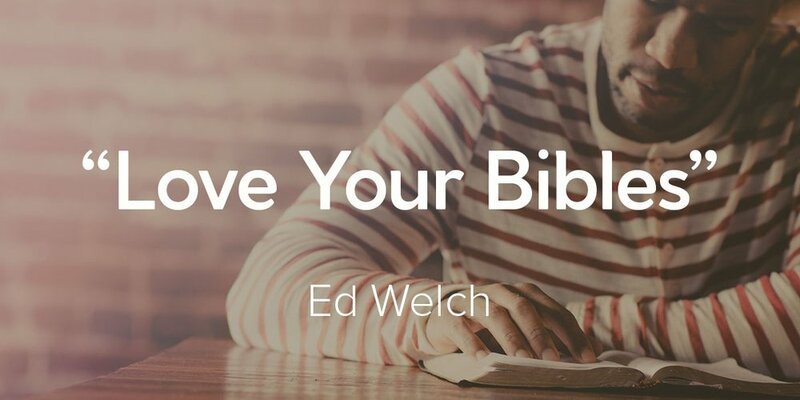 Here are ways Scripture motivates us to start reading. Scripture is the words of God to you. Open the Bible anywhere and the words there could be introduced with “the Spirit says” (Heb 3:7). These words are bread for our soul (Deut 8:3). They bring life. Over the past year, I have watched how they bring this miracle of life. I have seen it in friends whose bodies were dying, and I have seen it in friends who have lost loved ones. Their stories are each uniquely hard and beautiful, but there is a way they are the same. They all fed on Scripture. They asked for Scripture from others. They prayed Scripture. As a result, though they were facing death, they were profoundly alive. Israel’s kings were directed by God to handwrite a personal copy of his words and keep it with them (Deut 17:18-20). They didn’t, of course. Hezekiah may have been the exception because he knew the Law of Moses and did not depart from it (2 Kings 18:6). Life and power were evident during his reign. Take note of Josiah, too. During his reign, an extensive rehab project of the temple was undertaken and a copy of the Law was unearthed. When it was read, the Spirit used it to revive an entire nation (2 Kings 22-23). Scripture was the words of the Father to Jesus. King Jesus was the one who had the words of the Father close at hand. When he took on flesh, he lived with the same resources we have—Scripture—and it was food for his soul. Watch him in the wilderness. He did battle and stood firm against Satan, not because he had singular connections to the Father and the Spirit, but because he remembered Scripture—“it is written” (Matt 4:1-7). Scripture is about Jesus. Moses wrote of Jesus. (John 5:46). The bread that came from the mouth of God (Deut 8:3) was Jesus, who said, “I am the bread of life, whoever comes to me shall not hunger, and whoever believes in me shall never thirst” (John 6:35). This means that as we feed on Scripture we are feeding on Jesus himself. The person is more prominent than the commands. Task number one in Scripture is to discover the suffering servant and risen Lord. And though we might think that an audible voice or a spectacular visitation from God would be a great boost to our confidence in what God says to us, Scripture anticipates us here. “If they do not hear Moses and the Prophets,” Jesus said, “neither will they be convinced if someone should rise from the dead” (Luke 16:31). I have been in accountability groups in which we would ask about our times in Scripture from the week before. The reminder was helpful and the fellowship was sweet, but the reminders didn’t always get us into the Word. Perhaps a simple question would have been more effective. “Anyone want to hear words that come from the very mouth of God?” Then we could simply have read Scripture together. Resources for Unit 4, Session 2 of Gospel Project, winter book (page 20). We start our winter small groups on Sunday, January 6. We are in a new book so if you haven’t gotten your book be sure to stop by the information table. These resources are for Unit 4, Session 1 in the winter (“Out of Egypt”) book.